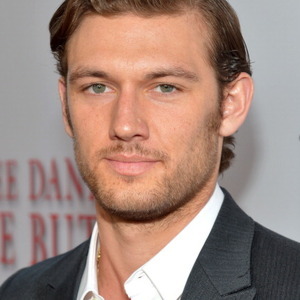 How much is Alex Pettyfer Worth? Actor and model Alex Pettyfer may have just begun his career in show business, but he has already attained an estimated net worth of around $3.5 million. And it's a safe bet that if his career is managed well, his net worth will continue to grow and grow. After a stint as a child model, Pettyfer's career in acting began in 2005, when he appeared in a television production of Tom Brown's Schooldays, in which he appeared as the lead character, Tom Brown. His film career began to take off from there, getting the lead role in Stormbreaker, a British film based on the popular Alex Rider series of Young Adult novels. One of his next big movies was Beastly, a movie that gave a youthful spin to the famous fair tale "Beauty and the Beast." Pettyfer's most recent blockbuster film was I Am Number Four, which among other things was executive produced by Steven Spielberg. Not content to appear in just Young Adult roles, it was recently announced that Pettyfer would be playing race car driver James Hunt in a biopic entitled Shunt. It's not known how far Pettyfer's career in acting will take him, but he's definitely had a lucky start that could very well put him on the path to stardom.